Former Minister Wimal Weerawansa’s wife Shashi Weerawansa was remanded till March 4 by the Colombo Chief Magistrate today. The Criminal Investigation Department (CID) arrested Shashi Weerawansa at a private hospital in Malabe last Sunday (22), on charges of submitting forged documents to obtain a diplomatic passport. 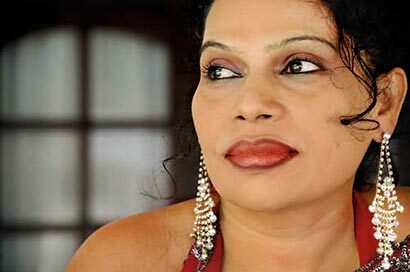 The Magistrate had yesterday ordered the prison authorities to transfer Ms. Weerawansa from a private hospital in Malabe to the Prison Hospital. Ane weerawansa kohedha ane yanda yanne?oya diplomatic ppt ka aragena.thawa salli salli kiyala manavatadha merenne? Purushaya yatin hoyapu okkoma oyata nedha ane.